the hot pang of merging souls. Dream that speaks without armour. hands left as is – all logic aside. 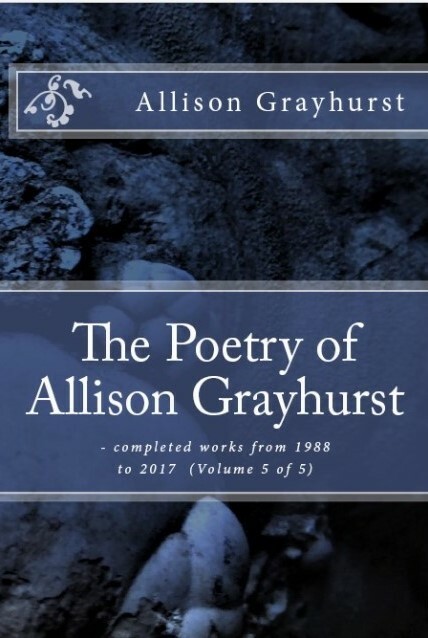 This entry was posted in Excerpts from Book 18 "Fire and more," Edge Unlimited Publishing (2016), Excerpts from Book 26 "The Poetry of Allison Grayhurst - completed works from 1988 to 2017 (Volume 5 of 5)", Excerpts from poetry book "Somewhere Falling" Beach Holme Publishers - A Porcepic Book (1995), Poems Published and tagged Allison Grayhurst, philosophical, poetry, spiritual. Bookmark the permalink.